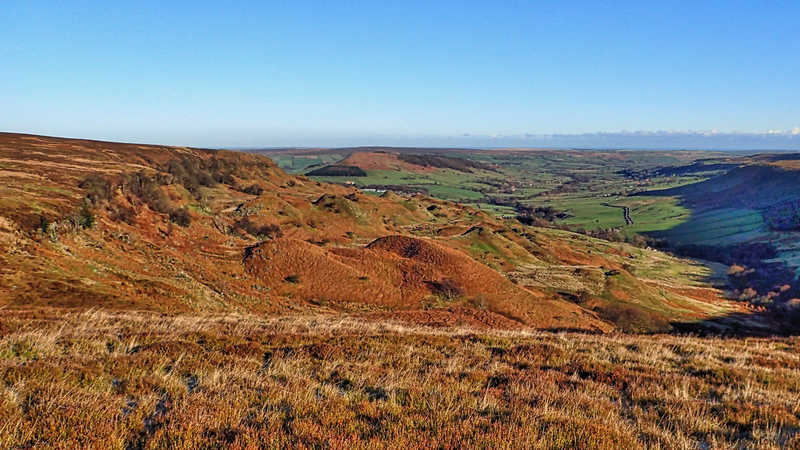 After several trips of exploration around Great Fryup Dale this is becoming one of my most favourite views in the North York Moors. An example of a geological undercliff on the left, providing a complex area of knolls, re-entrants and depressions, just ripe for an orienteering map. A glorious frosty morning, followed by a Great Fryup breakfast.